1 // CAVS!!! I cannot even put into words how amazing it has been this whole week as a NE Ohio native and Cleveland sports fan. 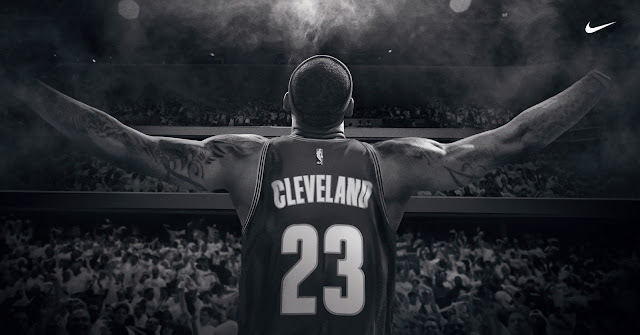 And icing on the cake, Aaron and I are from Akron, so we have major pride for our hometown hero, Mr. LeBron James. So many feels this week guys!! 2 // Finding dresses for both my bridal shower and bachelorette party - which are coming up in 2 weeks! Check and check. 3 // Got caught up on Game of Thrones - the most recent episode was insane! Not only was the story line wild, but visually I was just amazed with the way it was shot. Do any of you watch? 4 // Beautycounter for Target - I am so excited to try out this clean and cruelty free line that will be available this fall. 5 // Thunderstorms on Thursday that were much needed in Columbus... finally cooling things off a bit since it's been WAY too hot recently. 6 // I was introduced to a great new cruelty-free / organic brand the other day. Trying out some of their products now and can't wait to share with you all! 7 // Our second golf lesson is booked for this Saturday. This time I am going to try not to get totally sunburned (like last time). 9 // Tea cookies from Whole Foods. I mean, have you tried the vegan gingersnaps?? Those cookies are so good! I could easily spend my entire paycheck at whole foods. Two weeks! You must be so excited- and busy! We just celebrated eight years of marriage, and it was such a hectic time for us leading up to the wedding. yay kittens! haha. and yay for finding dresses for your showers and such, i remember totally stressing over that. i am so behind on game of thrones but i heard it was epic!